Sometimes it nice to put down my professional camera, and pick up something dinky and plastic to get creative with. It reminds me that being creative I need to entertain my inner artist child and have fun with a toy camera. Nice to look at, fun to shoot with, and although a little gimmicky, this “Polaroid” camera provides me with endless moments of delight watching as the image develops before my eyes! I took these two at Cullinan on a warm Sunday afternoon walkabout looking for vintage props. This past weekend I was having lunch at Espresso’s with Nick and Michelle, when an enormous vintage branded cop car pulled up and reversed into the parking bay next to us. Most likely just off a movie set, the car was complete with a realistic looking plastic cop badge hanging from the rear-view mirror, a NYPD licence disc on the windscreen, and a young driver sporting sideburns and teardrop sunglasses. Firstly love your Blog…very creative and vintage and interesting subjects. I have a questions on some cute cameras you posted on in February – the Diana F mini, the Bluebird Fly Twin lens reflex, Blue Ribbon super fat lens, the Golden half camera and I remember the Ultra cute 35mm OKTOMAT lomo photo 8 lenses camera. Where can I go shopping for them in SA. They only seem to be on Ebay? Is that my best option to buy them over internet? Hope you will be able to answer my question. Thank you! Have a wonderful…rainy day! Hi Vicky Lee – sent an email to you. Exposure Gallery in Cape Town would be the best bet. Wonderful website. Excellent on the internet affiliate plan. Thank you. Hi there, i’m looking and searching with no luck. i’m in pretoria and can not find a fujifilm instax mini. where did you get yours? Hi Carolien, I got mine from Kameraz in Rosebank in Joburg, it was about R1250. 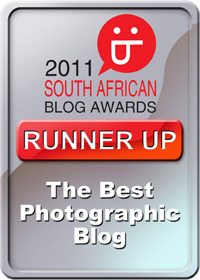 Alternatively, try Exposure Gallery in Cape Town and ask them to post it to you. Have fun!